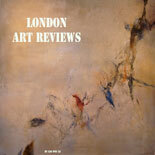 The exhibition “Platform for Emerging Arts #11” at the Leyden Gallery, London. Platform for Emerging Arts #11 exhibition at the Leyden Gallery, London. It has been very interesting Platform for Emerging Arts #11 exhibition at the Leyden Gallery, London. A mixed media exhibition, it displayed six gifted emerging artists for a total of 54 works. Curators Adriana Cerne & Lindsay Moran personally selected the artists according to their potential and abilities. The Platform for Emerging Arts series is that it is based upon an open call. The outcome is an exceptional mix of techniques, ideas, knowledge and energy, developing in the distinctive space of the Leyden Gallery, London. Artists on show are at the beginning of their careers. In the past, Leyden Gallery was able to recognise artist who later were critically acclaimed and had commercial success. Participating artists to Platform for Emerging Arts #11 exhibition were: Rowena Wright; Lottie Murphy; Kaya Tokuhisa; Kit Brown; Liz Bending; and Tina Crawford. Rowena Wright has an interesting working process, key to understand her sculpture. Although apparently abstract, the artist moves to the figurative and corporeal, by means of the physicality of her work with materials. Her sculptures are the result of her hand- work, while she tries to imprison the abstract form of the body. She said: “If my sheet steel appears fluid and my copper is reminiscent of skin, it indicates to me that my intentions are being realised.” The work ‘Bogman’ (2015) is probably the most interesting piece on display. It is a relevant sculpture of the dead body or a mummy of, possibly, an ancient man found in archaeological researches. It reminds Ötzi, the 5,300 years old mummy of a man, found in 1991 in the Ötztal Alps, hence the nickname, near the Similaun Mountain and Hauslabjoch on the border between Austria and Italy. Although a little spooky, the yellowish mustard colour brings back light perception. Lottie Murphy is a painter whose inspiration generates from photographs and found images of architecture, landscape and objects. Depicting a bizarre otherworld, she tries to surround with the emerging anxiety. The artist mix urban and rural landscapes into what she describes as ‘edge lands’, free from context and inhabitancy. References are surrealist artists such as Frida Kahlo and Leonora Carrington. Although she does not depict people, her paintings are loaded with the human symbols of puzzlingly placed chairs, stairs and doorways and other unexplained architectural features where the viewer assumes there is an uncertain human presence. Reinterpreting the still life genre, Kaya Tokuhisa is a painter with an experience in film-making. Her uncommon work on oil canvases is inspired to conceptual art. The light usage gives back the adequate atmosphere of a particular situation, just as it would on a film set or stage, and her objects take on an anthropomorphic meaning as human characters. Since centuries, pomegranates are a conventional symbol of fertility. However, Kaya Tokuhisa in her ‘Petrified Pomegranates’ alters the significance by giving to them a more physical presence, panicky grouping them together in fear of a knife. Experimenting with a new format, Kit Brown displayed work confirmed to be different from his usual installation – sound and video. His new series of tiny wall based pieces may appear ordinary in comparison to his previous work, but nonetheless experimental. The evident straightforwardness of the work is intentional, of course, and it looks at complex thoughts and to incorporate them into a condensed and primary concentrate. Hosting the political legacy of printmaking, Lizy Bending focused on issues surrounding politics, society, culture and the economy to make them easier to be reached. She mixes print media with the construction of objects. The goal of her work is to provoke debate, using emotive aesthetics that transform socio-political concepts into visually inspiring pieces of art. Inspiring to archive and museum concepts, she makes digital prints that are then altered to be adapted to the displaying physical space. Tina Crawford uses the sewing machine as her main artistic medium. She depicts outlandish figure s of the skeletal and anatomical forms of both real and mythological creatures. Despite being considered a modest technique, the artist’s potent images give an idea of the possibilities that the sewing machine can have. Sewing machine can be used by an intuitive and skilled artist, like Crawford who has had a successful career in free embroidery illustration, designing pieces for clients such as Shakespeare’s Globe, Kew Gardens and the Museum of London. The exhibition Platform for Emerging Arts #11 was at the Leyden Gallery, Liverpool Street, London, from 20th until 30th July 2016. This entry was posted on October 27, 2016 by London Art Reviews in Private Galleries, Reviews and tagged Emergingartsists, Leyden Gallery, mixed media.